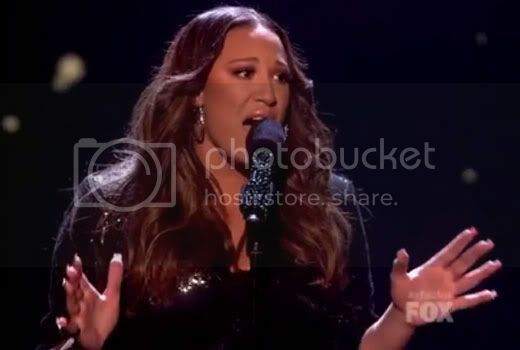 Quick Take: The X Factor, "Final Judges Cut"
Review: The X Factor, "Final Judges Cut"
(S0111) Last night The X Factor judges dismissed the final contestants, leaving it up to America from here on out and I must say, America's got some pretty tough decisions to make. 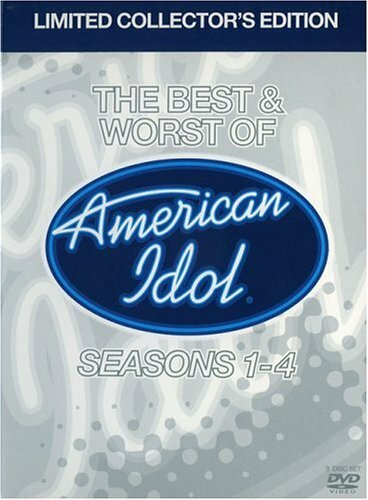 Overall, the level of talent on The X Factor is leaps and bounds above American Idol, The Voice, and just about any other singing competition out there. I have been really, really impressed. So let's get started dissecting the night's events. But first I need to mention how much I like host Steve Jones. He actually keeps the show moving along, unlike Ryan Seacrest who spends more time heckling the judges and drawing out long pauses than he does, well, actually hosting. Plus he's easy on the eyes and I'm a sucker for that accent. Props Mr. Jones! Also, Simon decided to dress up for the occasion, ditching his usual v-neck tee and instead opted for a dress shirt and suit jacket. Of course it was still unbuttoned enough to reveal his signature man-cleavage, but hey, that's his style. 1. Astro - He's the cocky 14 year-old from Brooklyn who rapped about his mom during the audition rounds. Now I usually really hate little kid singers trying to act like adults, but even I have to admit this kid is good. The judges loved him and after that performance I knew he was a sure thing. 2. Chris Rene - Another rapper who got off to a great start in the audition rounds, Chris sang a slower song last night and it was only okay. He has a nice voice, but it came across a little weak during the performance. The rapping sections were where he truly shined. 3. Phillip Lomax - This confident crooner looked like he was on his way to the prom, from the three-piece suit to the carnation on his lapel. It was a little cheesy and the song choice and choreography didn't help. 4. Marcus Canty - The vocals were pretty solid, but the performance needed some work. It was very Sister Act 2: Back in the Habit. I almost expected Whoopi Goldberg to emerge stage right and hand him the big trophy. L.A.'s verdict: Bye bye Phillip Lomax! 1. Stereo Hogzz - The vocals were really good, especially the lead, but the crazy dance moves (most notably one that looked like a Native American rain dance) were a little distracting. 2. Brewer Boys - These sweet brothers from wine country were like country acoustic Biebers singing at the local church hoedown retreat jamboree. It was wholesome and cute and little girls across America were probably dancing in front of their television sets swooning. 3. Intensity - This ten person group was formed by pulling solo acts together. It was like watching Mickey Mouse Club 2.0. I didn't hate it, but I didn't love it either. The group sounded really great together, but alone, a few of the singers were not good, especially that first girl. 4. Lakoda Rayne - Another group to be put together after the auditions, these four girls really sounded superb. The song choice was a little weird ("Come on Ilene") but somehow it worked. L.A. said he would sign them in an instant and Simon was really impressed. If they continue on in the competition at this level, this is the group to beat. Paula's verdict: A tearful goodbye to the Brewer Boys. 1. Dexter Haygood - This performance was very forgettable. Too much yelling, weird choreography, weirder song choice. I don't think I would buy a Dexter Haygood album. Sorry. 2. Leroy Bell - The 60-year old singer, who I have to point out, doesn't look a day over 42, has a strong, soulful voice. If you closed your eyes he sounded just like Michael Bolton. Good thing or bad thing? I'll let you decide. 3. Stacy Francis - The only female in the category, Stacy let her inner-diva shine. She has a great voice, but I can't connect with her personality. Maybe it's because she's crying all the time. 4. Josh Krajick - Ahh, my dark horse, who I called out as the frontrunner the second I saw him perform. Well, he slayed it yet again! Simon actually said that Josh was the one act that he was afraid. Yep, he's that good. Nicole's verdict: Sorry Dexter Haygood. You're out. 1. Simone Battle - There's no denying the girl's got the look of a superstar, but her vocals just aren't on par with the rest of the singers. She took a lot of criticism from the other judges (L.A. was even a little mean), but Simon still thought she did well. 2. Rachel Crow - This pint size singer was clearly a fan favorite and she easily put the previous contestant to shame. Simon labeled her retro pop and Nicole called her "my little Miss Sunshine." 3. Drew - Holy cow! I can't believe this girl is only 14 years-old. Her rendition of "What a Feeling" was stripped down and so hauntingly beautiful it gave me chills. Drew definitely has a place in the finals. 4. Tiah Tolliver - Poor Tiah. She had already divided the judges during the audition rounds and you knew that Paula and Nicole were already dissecting her even before she sang a single note. The performance was waaay over the top, which was probably done to hide her weak voice. Nicole summed it up pretty well when she said "if that was a sweet dream, I'd hate to see a bad nightmare." 5. Melanie Amaro - Simon dropped the ball when he cut Melanie last week. Thank goodness he came to his senses and brought her back! Melanie has such a powerful voice and out of all the singing competition shows, she's the only one I've ever heard who could hold her own with a Whitney Houston song. Simon's verdict: Adios Simone Battle and Tiah Tolliver. Overall the show was enjoyable to watch and I'm excited to see how my favorites perform throughout the remaining live shows. Another cool element to look forward to is the introduction of Twitter in the voting process and you can bet I'll be ready with #drew and #joshkrajick. I completely disagree with you. Dexter Haygood is a great singer and was the most compelling and charismatic performer of the bunch. Sure, he was given a song choice so odd that it almost seemed like an act of sabotage, but still managed to give an entertaining and professional performance with it. Frankly, your attack against him is completely clueless -- FAIL. Hi Adam and thanks for the comment. I didn't think I attacked Dexter in this post, but if you took it that way, I'm sorry. I think I was so distracted by the song choice and backup dancers that for me, Dexter's vocal talents were overshadowed. I saw Dexter's first audition and was really rooting for him. He has a good voice and I can sympathize with his personal story. I missed all the episodes in between, so when I saw this most recent performance I was surprised at the direction Nicole took him. You're totally right, it did seem like an act of sabotage. So again, I'm not a Dexter hater, I just didn't like that performance.